Worldwide container handling could fall for the first time and Middle East industry growth might be curtailed sharply this year. Worldwide container handling could fall for the first time and Middle East industry growth might be curtailed sharply this year, according to a shipping consultancy. 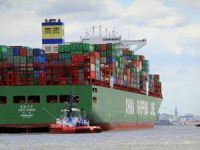 The worsening global economic downturn has battered international shipping lines, and the declining trade also poses challenges for global port operators. Drewry Shipping Consultants, based in the UK, said it may need to revise projections made just three months ago after new data suggested global and regional economic growth may slow further. In December, Drewry said container handling volumes worldwide would grow by 3.1 per cent, while Middle East ports would grow 7 per cent this year and next. 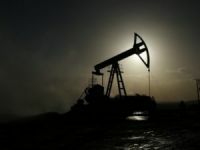 But those projections may already be too optimistic, based on the latest forecasts from the IMF showing a markedly tougher environment, the consultancy said. The IMF"s latest projections for the year, released earlier this month, show global GDP growing just 0.5 per cent, while world trade is expected to contract 2.8 per cent. ?We knew things were worsening quite quickly, but then the IMF revised its economic and trade projections downwards drastically,? said Neil Davidson, the director of ports research at Drewry. ?All ports are being affected, the slowdown is so widespread.? The slowdown has already had a significant impact on major port operators. DP World, which manages more than 45 ports worldwide, has imposed a hiring freeze and is reviewing all expansion plans after business slowed in the fourth quarter. Its parent company, Dubai World, shed 100 jobs this week in a cost-cutting measure. The downturn reflects a dramatic change of direction for DP World, which as recently as six months ago was under pressure from shipping lines to expand capacity and reduce congestion at its largest port, in Jebel Ali. Mr Davidson said there had been a decline in container volumes at some ports in the US, Europe and China. 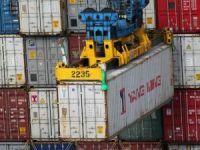 ?Sources estimate that there was at least a 5 per cent decline in global container port volumes in the fourth quarter,? he said. The 3.1 per cent growth projection made in December suggested the lowest expansion figure in three decades. ?It may well even be worse, possibly negative for the first time ever,? Mr Davidson said. Because freight rates are dictated by supply and demand, shipping lines are even more exposed to the downturn than ports companies, which have set rates. 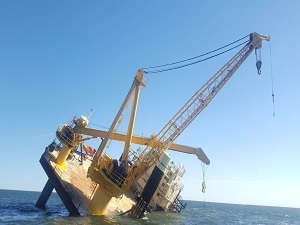 Ship operators have been forced to cut rates and lay up vessels in anchorages from Singapore to Fujairah to await new orders. 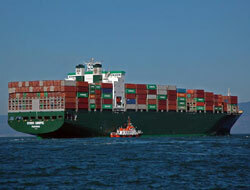 ?Shipping lines are losing money at an enormous rate,? Mr Davidson said. ?The question is: "Will all of the lines survive"?? Sending a container from Asia to Europe one year ago might have cost US$1,500 (Dh5,509), Drewry reports. Today, shipping lines might charge between $300 and $500. This week, Neptune Orient Lines of Singapore became the first big line to forecast losses for this year. 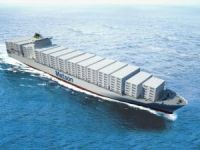 At United Arab Shipping Company (UASC), which is jointly owned by the UAE and other Gulf countries, nine of its 41 container vessels are idle due to low demand. ?It"s no secret the rates have come down,? said Jorn Hinge, the deputy chief executive of UASC. ?There is no law stronger than supply and demand.? 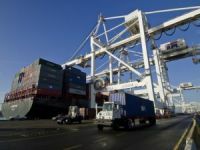 Still, analysts said ports operation was still a promising long-term industry that required infrastructure improvements. ?There is a danger of getting too preoccupied with the short term,? Mr Davidson said. ?Ports are a long-term business. The prospects for long-term growth remain good.? Recent new orders include those at Gulftainer, the Sharjah-based ports operator, which will spend about $40m on four super-post-Panamax gantry cranes capable of handling the new generation of extra large container ships to which many lines are switching.